In today's technologically connected society, people have access to information almost everywhere they go on a variety of devices. All strong marketing campaigns should incorporate some form of web-based advertising. Google AdWords™ is a web-based advertising tool that allows individuals and organizations to advertise on the Internet. Google AdWords is the most popular web advertising tool and operates on the largest connected set of networks, Google's networks. Google AdWords is simple to start using, but is difficult to master. AdWords campaigns have many components that must work together well to create an effective ad campaign. Managing an AdWords campaign involves constant monitoring, analysis, and refinement to improve campaign performance. 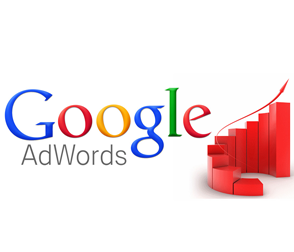 In this course, you will create a Google AdWords account and an AdWords campaign. You will create both text and image ads, and target campaigns to specific audience segments by using advanced AdWords features. You will refine and optimize all aspects of your AdWords campaigns from ads, to keywords, to bidding, to budgets. You will also use advanced tools to manage AdWords accounts and data. In this course, you will implement Google AdWords and create ad campaigns to target specific audiences with advanced AdWords features. You will then analyze and optimize campaign performance. Create a Google AdWords account. Optimize keywords for pay-per-click campaigns. Write effective ads for Google AdWords campaigns. Analyze and report campaign performance. Configure language and location targeting. Enhance campaigns with ad extensions. Create a display network campaign. Optimize AdWords campaigns for conversions. Manage AdWords with the AdWords Editor. Manage and extend AdWords accounts. This course is designed for marketing professionals with basic end-user computing skills who will create and manage search ads, run pay-per-click search campaigns, and optimize and report on those campaigns with Google AdWords. This course is also designed for individuals who are seeking the Google AdWords certification and want to prepare for Google AdWords Fundamentals and Google AdWords Search Advanced exams.